On Monday, Lindsey Graham announced that he is suspending his bid for the 2016 presidential race, ending his pathetic and hawkish run. According to Graham, one of the most important aspects of his campaign was his emphasis national security and fighting to defeat ISIS/ISIL. Graham was determined to commit American troops to fight in Syria. “Four months ago at the very first debate, I said that any candidate who did not understand that we need more American troops on the ground in Iraq and Syria to defeat ISIL was not ready to be commander in Chief. At that time, no one stepped forward to join me. 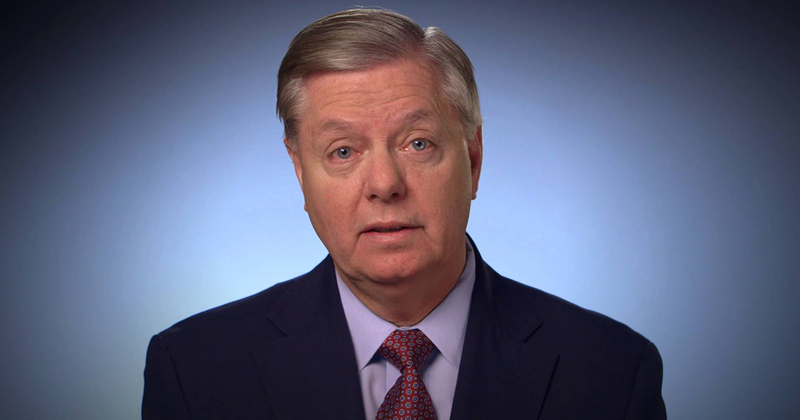 Today, more of my fellow candidates have come to recognize this is what’s needed to secure our homeland,” said Graham. Graham was never popular, even with his lunatic Republican constituents. He never climber higher than 2 percent support in national polls.